“The Spirit of Wichita”- examines our local history during the early 20th Century, from 1912 to 1939. This long-term exhibit explores the aircraft industry, the oil industry, the Great Depression, the Dust Bowl, the World War I, the period’s cultural arts, entertainment and technology. Capture the spirit of Wichita through entrepreneurs … the oil barons, the merchants, and a group of courageous and creative aviation pioneers, like Clyde Cessna, Walter Beech & Lloyd Stearman who charted a new course for Wichita’s future. You’ll hear stories of the 1930s dust storms … Share in the city’s pride at the launch of the USS Wichita…and relive the nightlife at Gage Brewer’s Shadowland Dance Club. “The 1916 Jones VI Automobile” exhibit – Of the thousands built, this is the only example of the Wichita built automobile on public exhibit. Catch a glimpse of Wichita’s early manufacturing industry and entrepreneurial spirit. 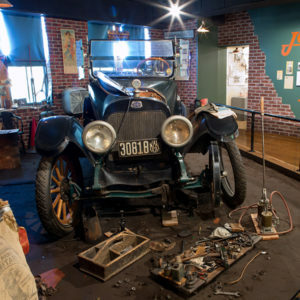 This recreated garage setting features a 1916 Jones Six automobile that was built by Wichitian John Jones. Jones was a Ford dealer who thought he could build a better car than Henry Ford. He had a pretty good run producing an estimated 3000 cars and trucks right here in Wichita. “Wichita – The Magic City” is a chronological trip through the city’s first 50 years from settlement to the dawn of the air age. Meet the early inhabitants … the Wichita Indian tribe whose name the town adopted … the hunters and traders who settled along the banks of the river … the cowboys who drove their cattle through town. Trace Wichita’s early years as it transforms from the Buffalo-Hunting days of the 1860’s to the dawn of flight in 1911 on its way to becoming the Air Capital of the World. “A Wichita Cottage” This exhibit authentically recreates a typical middle-class Wichita home of the late 19thcentury complete with Victorian adornment and the emerging technology which would soon change domestic life and society in general. Seven individual rooms compose this environmental exhibit. Visit and pay a social call on the residents of a Wichita cottage, this 1890 Victorian house is authentically decorated throughout, from the wooden icebox on the back porch to the combination gas-and –electric ceiling light fixture hanging in the parlor. 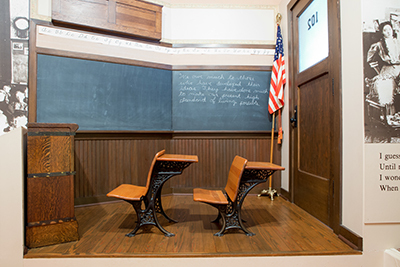 “Civics and Government Exhibit” features the 1890s office of the Mayor of Wichita. Using a 1917 photograph of the mayor’s office in City Hall as a development guide, The Mayor’s Office an excellent companion to the adjoining Civics and Government Exhibit. “The Drug Store”- This exhibit recreates the rich environment of the typical neighborhood drug store and fountain of the early 20th Century. “A Child’s World” – This exhibit examines life as a child through the toys and experiences of previous generations. “Affordable Elegance – Victorian Silver Plate” – The Museum’s auditorium is home to this nationally recognized collection of highly elaborate silver plated service ware prized by America’s emerging middle class of the late 19th century. “The Hall Collection of Cut & Engraved Glass” – A dazzling collection which renders the Museum a destination for all those who admire the spectacular artistry of these functional objects. “Windows on Collections” – A frequently changing exhibit of artifacts from the Museum’s growing collection. Depending upon any given theme, this exhibit ranges from the topical to the bizarre. 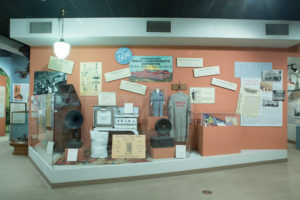 “The Cortney and Marcellette Davis Welcome Gallery” – A good place to begin – this gallery features an introduction to the Museum through an explanation of its mission to preserve, collect and interpret local history. 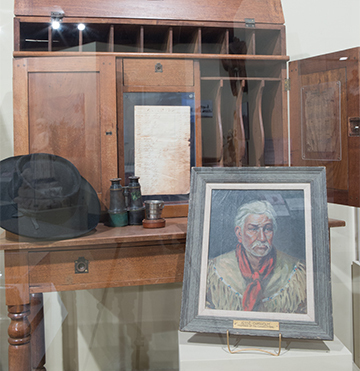 It is the work space for the Museum’s young historians club who create exhibits using their own collection to tell local stories. 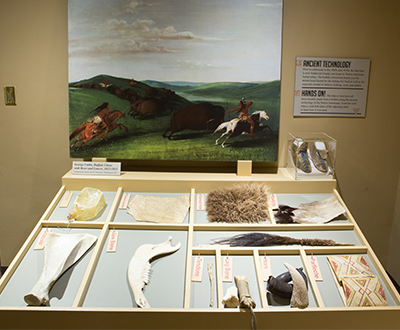 Study Collection artifacts are utilized which offer rare opportunities to interact with things as diverse as the handmade tools of American Indians to a typewriter and a telephone booth.